EDDM is a program designed by the United Postal Service to allow your business to deliver post cards or ads to a potential viewers without the need to purchase a subscriber list or create particular details on your mail item. It gets your marketing information straight into the arms of customers while decreasing mail planning expenses. This service is even delivered at a discounted rate. If you want to get your business information in front of a consumer without hassles, this is the perfect mailing service for you. With Every Door Direct Mailing assistance from the U.S. Mailing service attaining the industry that issues most to your company has never been simpler. Their online applying resource allows you to focus on mailing tracks by community, zip code or town. Recognize the number of effective houses and companies in the best place and calculate delivery all in one place. To begin you just determine which communities you want to target. This is the first step to gaining new customers for your business. This form of mailing service is most effective if you want to cover large areas of certain communities. These mailing lists are not distinguished by age or interests, only location. In most cases this is an effective marketing strategy, but you must determine your marketing strategy before you choose Every Door Direct Mailing as your form of communication. Some people will not acknowledge your attempt to obtain them as a customer. In some cases they will discard your Every Door Direct mailing message immediately. However, in most cases you will get your business in front of someone that s in your target area. This is your only goal when trying to get new potential consumers. 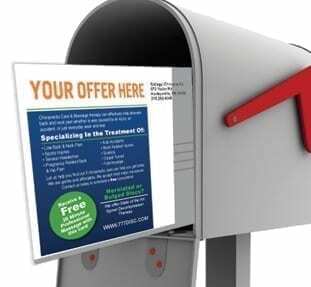 Every Door Direct Mail is an easy cost effective way to reach out into communities and offer your services. Whether you are located in Miami, Doral or anywhere in the US we can help get your direct mail project started. The process is very simple, design your special postcard as according to USPS, pick your locations, print and deliver to USPS. Next Next post: What does your tradeshow booth say about you?